Happy Mother's Day to all the women that take on the challenge. 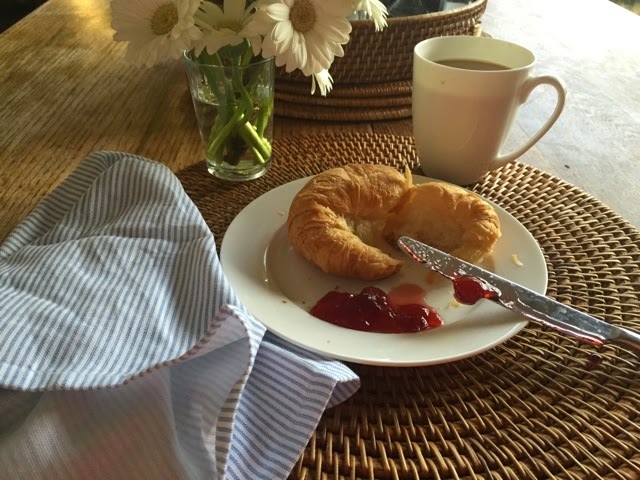 This is my start to a perfect day...husband snoring in the other room, soft music playing and this heavenly breakfast of freshly baked croissant, cherry preserves and a cup of coffee with my favorite creamer. Quietly eaten as the sun streams in my window. I wish you a day filled with the simple pleasures you treasure most.